Now that the Spring is here my snow boots are finally put away deep into the closet and my sneakers are out. Pretty soon it's time for my favorite time of year, flip flop weather! Before flip flop weather gets here, I have to start getting my feet in order! My at home pedicures always consisted of using a Pumice stone right after I came out of the shower when my skin was soft. With all of the layers of extra dead skin that formed over the winter when I was not taking care of my feet, it was virtually impossible! 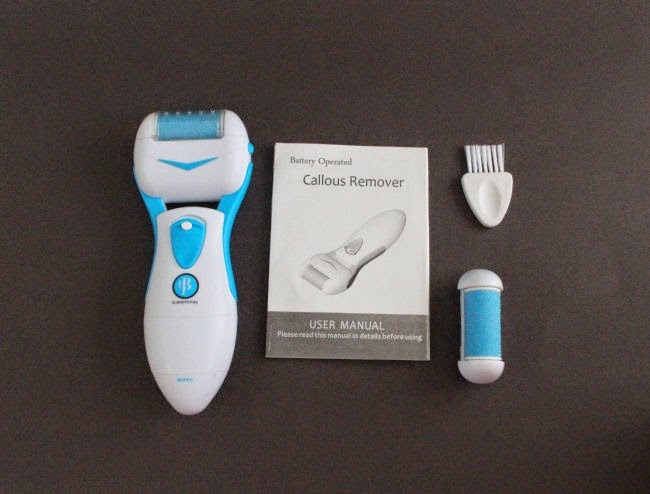 I was so excited to try the La Pédi Bon battery operated foot callus remover. After taking a bath and softening my skin I turned it on and went to work on my feet. I was amazed at all of the dry skin it took off on only a couple of passes. I continued to work back and forth and let the batteries do all of the work. After several minutes on each foot the soles and my dry cracked heels were as soft as if I went to a salon. I love that the La Pédi Bon comes with an extra replacement head and a cleaning brush. It is super easy to clean and maintain. 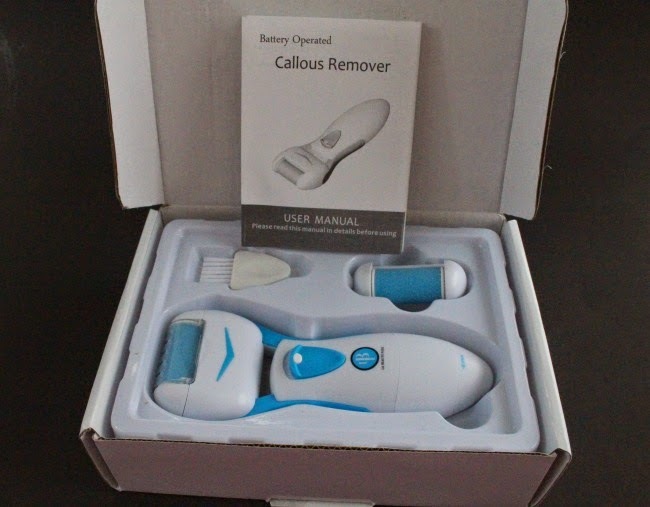 I will be using it again to maintain the soft skin on my feet. It's battery operated so it is stronger and more efficient then me using my elbow grease and a pumice stone. Right now they are having an amazing deal on Amazon so click on the link to grab your own.